We love a simple craft that uses things you might already have around your home. 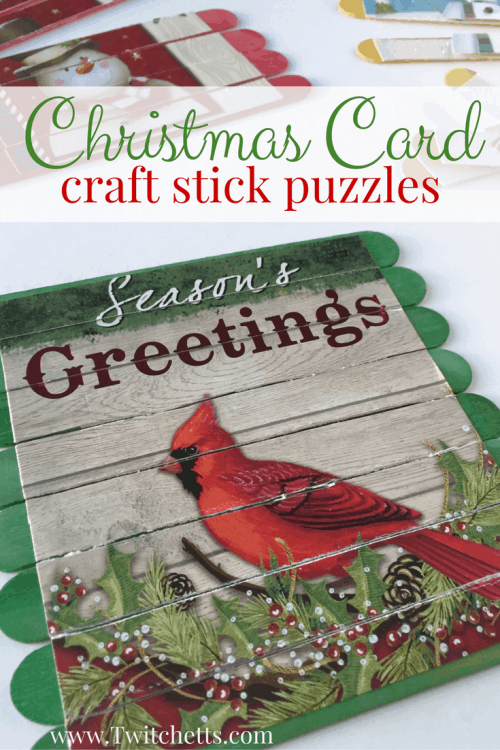 These craft stick puzzles are one of them! 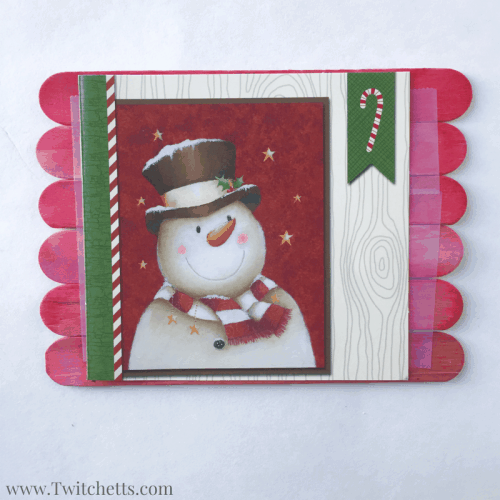 This Christmas card craft also gives you something to do with all of those greeting cards you get every year in the mail. 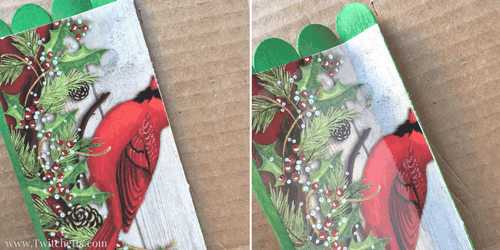 You are going to love these Christmas Card Puzzles! Every year we display all of the lovely cards we get in the mail and every year they end up in a stack at the bottom of one of our Christmas bins. 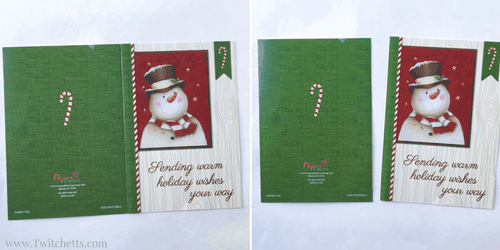 We always pick out a few to make greeting card boxes, but there are always so many left over! 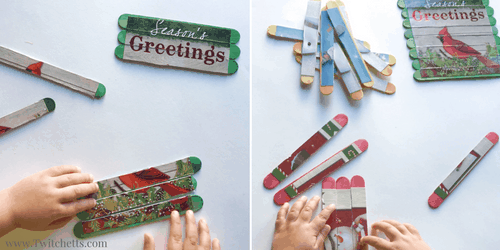 These craft stick puzzles the perfect way to use them up and make a great activity for your little ones. A box cutter or Exacto knife. Start by looking through your cards. Pick out ones with a good image to create your puzzle. Then cut the front off from the back. Trim the image if you like. 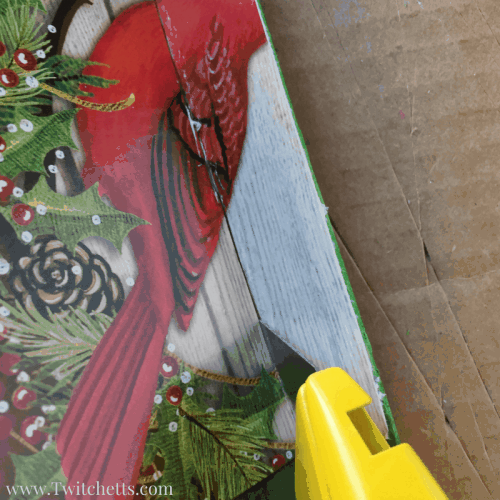 Next, use a strip of tape to hold your craft sticks together. 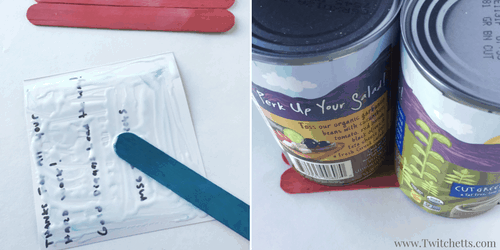 Spread your glue on the back of your card. Place on your craft sticks, flip over, and add some weight like a few cans to make sure the image doesn’t bubble up anywhere. Let dry. Once dry, fold between the sticks, then cut along the created corner. 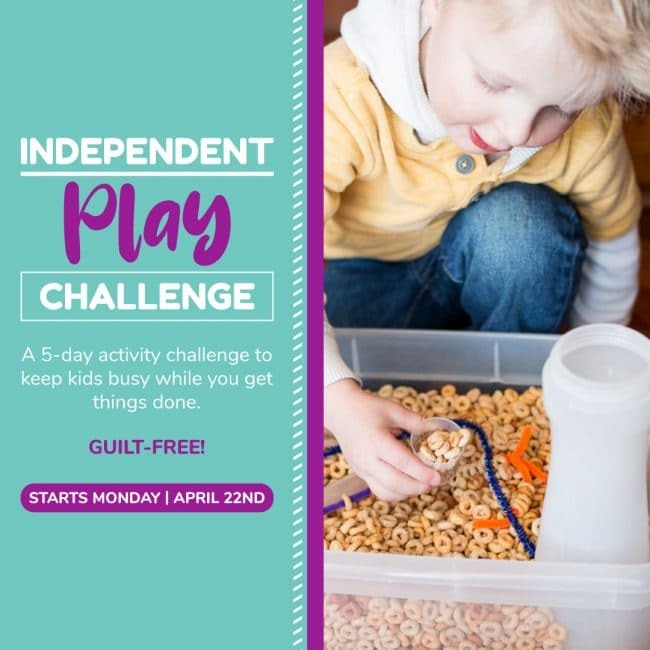 Then play! V did them each separate and then mixed them all together and completed all 3. I used these colored craft sticks to make it easier for her to pick apart the puzzles. These are a great boredom buster to pull out at restaurants, doctors offices, or could even be done in the car on a cookie sheet! They also give a second life to those all of those Christmas cards. 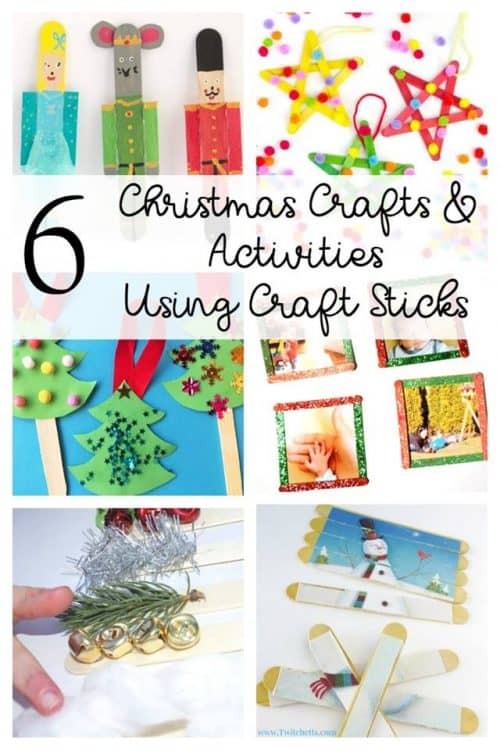 If you have a big box of craft sticks to use up check out the rest of these amazing ideas! Since so many of our cards are family pictures, they can stay on the fridge all year long!